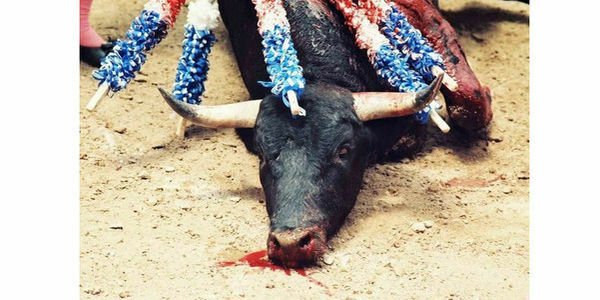 Bullfighting is not a fight at all. It's a systematic torture killing that pits a gang of armed thugs against a lone, frightened, and wounded animal. Bullfighting is the most indefensible type of animal abuse. We urge the Coca-Cola corporation to stop being official sponsors to such hideous "entertainment".